There will be only one Volkswagen Motorsport driver on this years Fafe Rally Sprint event, after Sebastien Ogier announced his withdrawal from this warm-up competition due to illness. 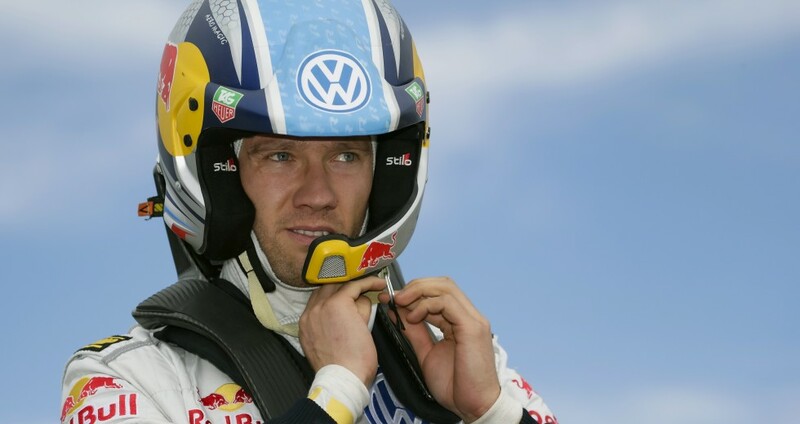 Originally, Volkswagen planned to run Ogier and team’s third driver Andreas Mikkelsen in Fafe event. Since Frenchman is out of contention, Volkswagen will now only run Mikkelsen. At the same time, Jari-Matti Latvala will sit in his room, focusing and trying hard not to disappoint himself and the entire universe, when the rally proper begins next week. Basically, he’ll be doing what he usually does! Let’s hope he also plans to have some fun this time around – enjoy it before you push yourself to hate it. Come to think of it, Jari-Matti Latvala’s approach to everything, and especially work, would make him ideal part of some Japanese team! Alas, Ogier is out, tending his influenza, and Andreas Mikkelsen will be shaking down his new WRC toy in front of Fafe’s fanatical crowds. Keep it on the road, Andreas, and don’t lift before you jump! Volkswagen rally driver Sébastien Ogier (F) has been forced to withdraw from the legendary “Fafe Rally Sprint” on Saturday on medical grounds. The Frenchman had intended participating in the show event held near Porto with co-driver Julien Ingrassia (F) in preparation for Portugal’s round of the FIA World Rally Championship (11 – 14 April). However, one Volkswagen Polo R WRC will take the start in Fafe, driven by Andreas Mikkelsen (N) and his co-driver Mikko Markkula (FIN). The Nordic duo will give it their all in front of the 100 000 spectators who are expected to pack the 6,34 kilometre course on 06 April, as the crew targets not only victory, but also the world record on one of the most spectacular jumps in rallying. Currently the record stands at 73,5 metres, set by Armin Schwarz in a Škoda Octavia WRC in 2000. After the event the Volkswagen team heads for the Rally Portugal, which starts with qualifying on 11 April and ends with a podium ceremony in the Algarve Stadium near Faro on 14 April. Next story Qatar M-Sport WRT lengthy Rally Portugal preview! Previous story Four car line-up for Volkswagen in Portugal!